What can AES technology do for you ? If you are interested in cybersecurity, you should know about AES. Why? Because, cyber AES technology which stands for Advanced Encryption Standard is so sophisticated that it cannot be attacked. This is why the US National Security Agency uses it for information classified as top secret. AES has indeed been adopted for commercial use by well-known companies such as Apple but it is also the technology used by Le VPN as its encryption system, through its VPN tunnel. Indeed, all traffic through Le VPN uses AES-256 to encrypt data. 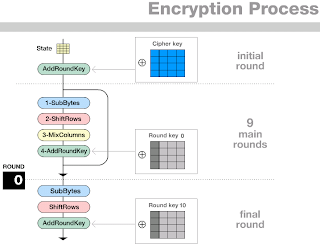 AES-256 is a symmetric encryption standard adopted by the U.S. government. It has a fixed block length of 128 bits, with key lengths of 256 bits. Once a file is encrypted through this top-level system, you do not have to worry about a person reading your information. Your data cannot be capture as they simply cannot be read. The AES encryption system is the perfect technology for people who carry sensitive information with them while traveling or who upload sensitive files to servers on the Internet. It is also the best for people who just want to protect their data from being stolen from their home or office. The AES figure has been extensively tested and analyzed. It is now used worldwide. Therefore, any connection or pirate decryption of data through the VPN tunnel is strictly impossible. Choose le VPN now to make sure you internet activity is safe and secure.